There is a trend the market to present serums and foundations in dropper packs, as brands search to express the effectiveness and security of a product through a pharmaceutical look, while also transmitting values such as luxury and fashion. GCC's new sleek soft bottle is made of two layers of plastic, inner PE & outer PP, and the ratio of the material is adjustable and ready to bloom with the new fashion. Softer than a single layer PP tottle, the new technique offered at GCC Packaging has the principal benefits of PP - good fatigue resistance & chemical resistance; PE water resistant and durable. Strategies to combine these materials may have considerable potential to affect sustainability and the economy as it not only it shows promise for improving recycling but spawns a whole new class of tough polymer blends. There are two premium versions designed, in 30ml & 60ml, using the inner & outer cap for an excellent closure system, as GCC's new luxurious bottle design features an ‘ergonomic, precise dosing, and premium’ feel. 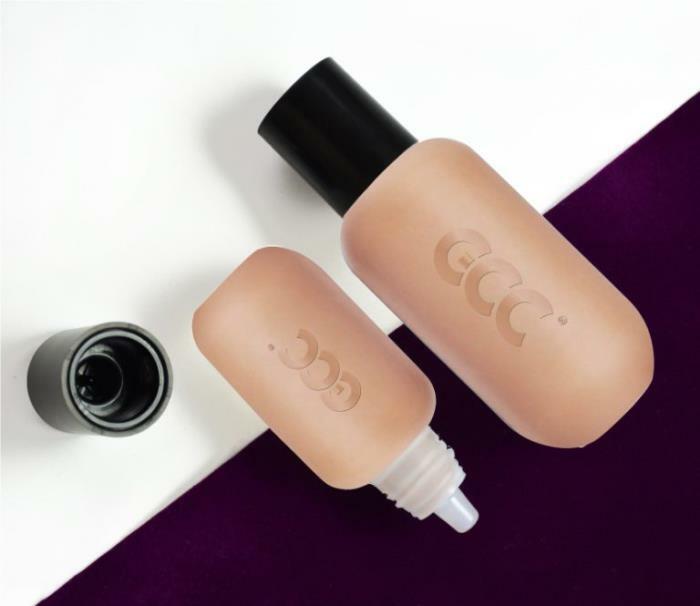 Both bottle capacities are perfect for serum and foundation, backstage uses or on the go.